Few automated investment management companies can match robo-advisor leaders like Betterment and Personal Capital, but M1 Finance is a rare exception. Like other digital money managers, M1 Finance uses computer algorithms to manage client portfolios. Unlike most robo-advisors, it is also a brokerage firm that allows clients full control over portfolio selections. 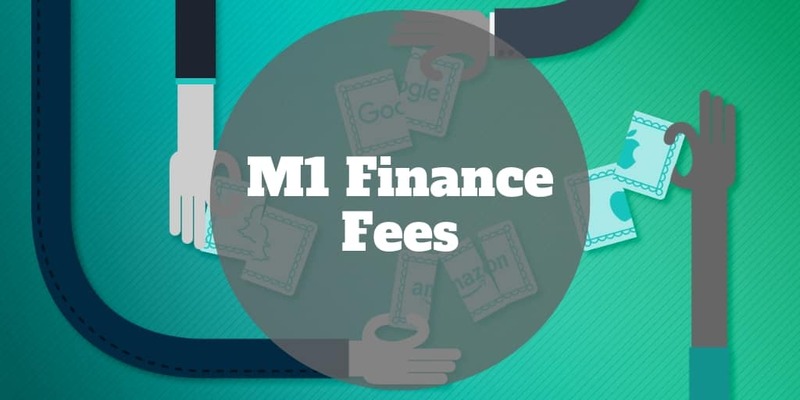 Best of all, M1 Finance fees are zero. Don’t expect hidden platform fees to creep up from behind and surprise you either, they simply don’t exist! But fees alone are just one factor to consider when considering how to invest your money. In this M1 Finance review, we look at investment minimums, tax strategy, account selections, asset class options, and more so you know whether it’s right for you. Before getting into the nitty gritty, you might be wondering how does M1 Finance make money given that its fees are zero? The free trading commissions business model is a head-scratcher if you are coming from the traditional world of brokers who tack on charges for each buy and sell transaction. Here’s a quick M1 Finance wiki to get you up to speed on what makes M1 Finance different. First, you need to learn the “lingo” used by this hybrid broker / robo-advisor. No matter where you turn as a client on the platform, you’ll see the term “Pies” used but what are M1 Finance pies? Pies are simply visualizations of portfolios on the platform. My Pies are custom-built portfolios that clients create. Expert Pies are ready-made portfolios created by experts. As a client, you can build your own “My Pies” by investing in any combination of hand-picked exchange-traded funds, stocks, and Expert Pies. The best way to think of a Pie is as a portfolio with lots of “slices”, which may be picked by clients or pre-made. The problem with most portfolios in traditional brokerage accounts is that, over time, the percentage allocations of positions drift. For example, an investor who bought a small Netflix stock position years ago may discover that it is now a much larger weighting. While that’s good news when stock markets are rising, it could spell higher losses when they fall. To avoid a situation where one position dominates a portfolio, M1 Finance monitors the sizes of each “slice of pie” to ensure they remain the same over time. Stock market beginners who don’t feel comfortable or don’t know how to get started can buy pre-populated portfolios, called Expert Pies. Experienced stock pickers can select as many as 100 “slices” (of stocks, ETFs, or other Pies for example) to build custom-made portfolios. The number of M1 Finance pies is north of sixty making it a cinch to build a diversified portfolio with a few mouse clicks. The big innovation at M1 Finance when compared to traditional brokerage firms is its computer algorithms keep portfolios balanced long into the future. Portfolio rebalancing is free as you might expect! Whether you are seeking passive income, planning for retirement, keen to mimic portfolios of billionaires, or want exposure to a specific sector, Pies that match your financial goals are available at your fingertips. Investors seeking exposure to bonds or even socially responsible portfolios will all discover Pies to meet their needs. If anything, you’ll be spoiled for choice with over 2,000 exchange-traded funds available to purchase. It’s commonplace these days for robo-advisors to provide an automated tax strategy. Tax-loss harvesting is the name Betterment uses. Ellevest describes its approach as a Tax Minimization Methodology. The M1 Finance tax strategy is called Built-in Tax Efficiency. It uses an automated lot allocation strategy when selling securities aimed at reducing taxes owed. Compared to industry leaders, M1 Finance lacks some bells and whistles. While tax-loss harvesting is valuable for taxable accounts, it doesn’t account for how to spread assets across retirement and taxable accounts in a most tax efficient way. For that tax coordinated portfolios are needed to place tax efficient assets in tax inefficient (standard) accounts and tax inefficient assets in tax-advantaged accounts. Technically, no account minimums are imposed by M1 Finance. But in order to open a taxable account, your first deposit must be at least $100. The minimum first deposit for an IRA is $500. You might be perplexed as to why there’s no stated minimum if fixed amounts are required to open accounts. If you were to open a taxable account for $100, purchase stocks, and thereafter the value fell below $100, you would not be penalized or charged fees in any way, even though your account balance is under the first deposit investment minimum. Clients must meet the first deposit minimums to begin investing in any portfolio, whether custom My Pies, stocks, funds, or Expert Pies. For more adventurous investors who plan to use margin, account balances must be $10,000 or higher. Margin is not available to users with account values below $10,000. ✅ No Commissions: Pick stocks, exchange-traded funds, and Expert Pies without paying a dime in commissions. ❌ Buy-And-Hold Bias: M1 Finance is designed primarily for buy-and-hold investors more so than active traders, who would do better at thinkorswim or tastyworks. ✅ Hands-Off Investing: Automatic rebalancing keeps portfolios balanced long into the future. ❌ No Mutual Funds: Users who have favorite mutual funds will be left disappointed. ✅ Low First Deposit: No account minimum is mandated and first deposit minimums for taxable ($100) and retirement ($500) accounts are low. ✅ Broad Selection: Over 2,000 ETFs and 60 Pies are on offer. ✅ Account Type Selection: A wide range of account types are supported, including individual, joint, retirement, trust, and entity. ✅ Asset Types: Users can invest in stocks, ETFs, corporate bonds, U.S. bonds, municipal bonds, and emerging market bonds. ✅ Fractional Shares: To ensure portfolios are fully invested, fractional shares are made available. ✅ Tax Minimization: For taxable accounts, a tax-loss harvesting strategy is used to minimize payments to Uncle Sam. While trading commissions costs are zero and no platform fees are charged, other miscellaneous M1 Finance fees may be applied. M1 Finance supports a wide range of account types, including individual, joint, retirement, trust, and custodial. It’s hard to stand out as a broker or a robo-advisor these days but by combining both of those services under one umbrella, M1 Finance has few rivals. Active traders will still do better at a traditional brokerage firm like TD Ameritrade but investors who prefer a more hands-off approach will find M1 Finance to be a better match. Clients can choose a fully automated investing experience by purchasing Expert Pies, which are ready-made portfolios built by financial experts. Or they can choose to be more hands-on by picking stocks, ETFs, and even Expert Pies to build custom portfolios. Whichever path is a match, investment minimums are low, a broad selection of asset classes are offered, and a wide range of account types are featured. The bottom line is it’s a tall order to create a platform that can serve the needs of most investors, but M1 Finance sets the bar.